GERB MP Toma Bikov, addressing himself to the BSP, said: “We are not giving advice to anyone, but such things are unacceptable. This is a double standard – we are ‘flirting with fascism’, and you are bringing it down. We’re ending up with the maxim from communism, that we are all equal, but some are more equal than others, especially if they are friends of the President”. Plamen Hristov, of the National Assembly’s smallest party, Volya, said: “I propose that whatever photos there are at home, we should go and get them out, we should look at them and stop paying attention to nonsense”. The Speaker, Dimitar Glavchev, joked: “I’ll call a recess in an hour for us to go to fetch the photos”. 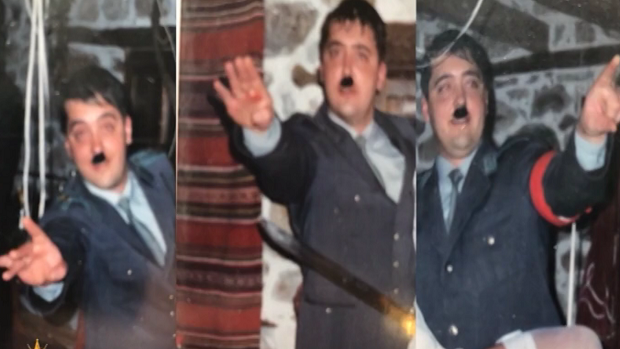 Uzunov earlier was quoted as saying that he had dressed up as Hitler at the New Year’s Eve costume party because another costume did not fit. He said that the distribution of the photos, which he himself did not make public, was intended to discredit the presidential institution.